When clients and their family call, it’s normally the worst day in their life. We want to help people get through those times with a loving heart, with patience and understanding. 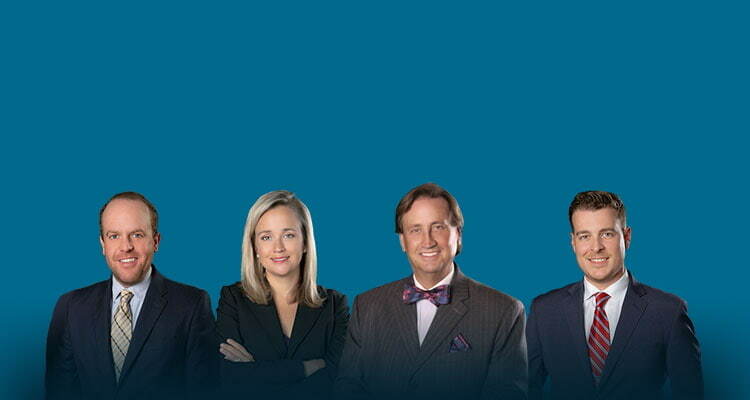 Thank you for visiting our North Carolina Lawyer website. If you, a friend or a family member is in need of professional, confidential legal advice, we’re here to help. Sometimes trying to figure out if you even need a lawyer in North Carolina is a good start. Our North Carolina attorneys are here to answer your legal questions and hopefully assist in navigating through a pretty complex legal system. To make your review of our site easier, we suggest you start with the broad subject areas. Our goal is to help you understand the general nature of your legal need. You may also want to review our credentials, our blog, or videos before calling. Under most circumstances, the consultation is entirely free. Hopefully the information we provide in either the text or video summaries will give you some general background information. Obviously each case is different, so it makes sense to talk to one of our North Carolina lawyers to make sure a particular law may apply. The other purpose of our website is to assist you in making a decision on whom to hire as legal counsel. We are a multidisciplinary law practice, with three convenient locations. Licensed in the State of North Carolina, our attorneys are available for consultation at most times during the day. We also have an after-hour service with an “on-call” North Carolina attorney for emergency situations or in the event standard hours are not convenient to you. The Awards & Certifications listed apply to senior partner, Bill Powers. You may obtain additional information regarding membership requirements and criterion for inclusion for such groups as Super Lawyers North Carolina, Martindale-Hubbell AV “Pre-Eminent Lawyer” recognition and the other referenced organizations by going to their individual profiles. Thank you again for taking the time to review our materials. It would be an honor to help during a time of need. Just thinking about a legal matter can be stressful. The anxiety of not knowing what to do or who to talk to may exact a heavy price. Rather than carry the burden alone, we encourage you to seek legal counsel. At Powers Law Firm PA, we provide experience; resourceful and professional legal advice. When you’re going through a difficult time in your life, you need an attorney who can protect your interest and has the experience to give you the legal insight to make good decisions. Information and preparation are important tools in any legal presentation. The legal process can be confusing, take action. it’s important to know your options. If you have questions, we have answers for you at Powers Law Firm PA. We’re here to help. The attorneys of Powers Law Firm have accumulated a wealth of legal resources and information and made it available to the general public. If you are looking for preliminary legal information on a DWI, Criminal Defense or Traffic Ticket issue, our guidebook to navigating the legal system is a good place to start. Click here to download our guide. We also feature additional legal resources in the legal resource section of our website which you can find here. If you have specific questions about a legal matter, we encourage you to speak with one of our attorneys who will be happy to discuss the specific circumstances of your case.